Marcelo F. Salgado, 87, passed away Wednesday, March 20, 2019 in Lubbock. Services for Mr. Salgado will be 10:00 am Saturday, March 23, 2019 at Ministerios Nueva Vida with Rev. Jesse Cisneros officiating. Military Honors burial will follow in City of Lubbock Cemetery under the direction of Calvillo Funeral Home and Chapel. A prayer service will be held 7:00 pm Friday, March 23, 2019 at Calvillo Funeral Home Chapel with a viewing 1:00pm to 9:00pm. Marcelo was born January 22, 1932 in Marfa to Marcelo Sr. and Aurelia Salgado. He joined the Army in 1953 and served honorably during the Korean Conflict until he was honorably discharged in 1955. Marcelo went on to work for various businesses afterwards namely; Frontier Wholesale, Farm Pac for eighteen years from 1963-1981; as a groundskeeper for Texas Tech from 1981-1993. Among his hobbies; he enjoyed working with art and paint, read the bible, sing, take pictures and apart from enjoying being with his family, no one was a stranger in his life. 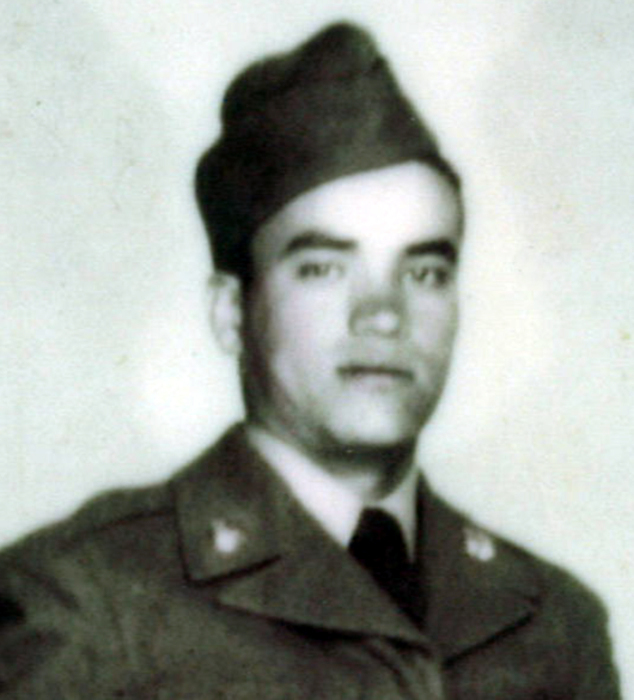 He is survived by her wife, Maria “Mary” from Lubbock; two daughters; Linda Mendoza and Mary Helen Pina both of Lubbock; two brothers; Henry Jose and Jose Ramon Salgado of Lubbock; three sisters; Soccorro Rodriguez of Lubbock, Candidad Campos and Margie Pasos both from Tucson, Arizona; fourteen grandchildren; twenty three great grandchildren.